The untimely death of up-and-coming Bellator fighter Jordan Parsons on May 4 had a ripple effect on the entire mixed martial arts community, sending out waves which reached the man who was scheduled to fight Parsons just two weeks after the hit-and-run accident which claimed his life, Adam Piccolotti. 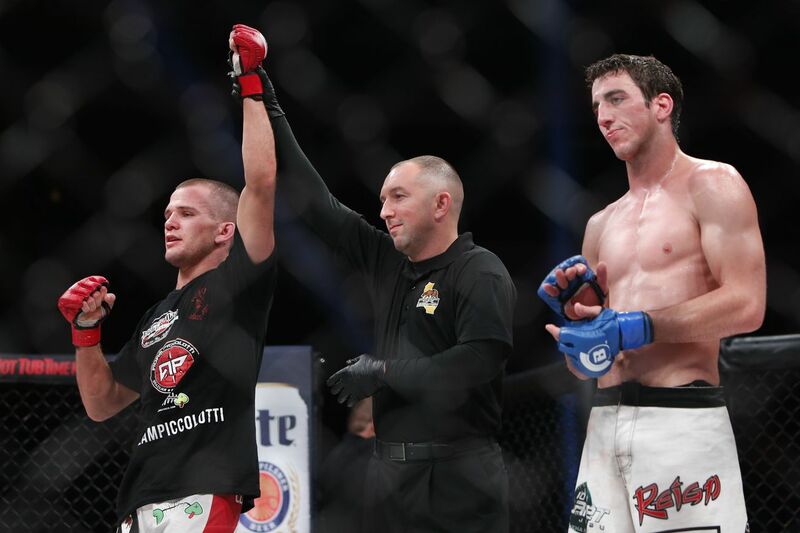 Piccolotti had spent weeks thinking about Parsons, whom he was supposed to fight on May 14 in San Jose, the way future fighters often think about future opponents: This was the man standing in my way. This is a person on whom I have to inflict physical damage before he does it to me. In the blink of an eye, those thoughts were gone, as Piccolotti instead found himself pondering the fragility of life itself. Piccolotti, however, persevered, and in the process, managed to mark himself as a fighter to watch. Given a new Bellator 154 opponent in Ray Wood, Piccolotti won via rear-naked choke in the opening round, upping his record to 8-0.